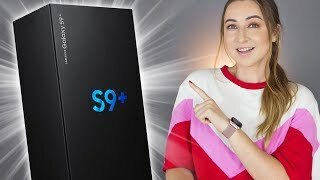 After lots of unsuccessful attempts by Samsung to cover all the leaks and rumors, the Samsung Galaxy S9 Plus is officially here. This year Samsung decided to focus mostly on the camera and inner specs instead of it’s design. 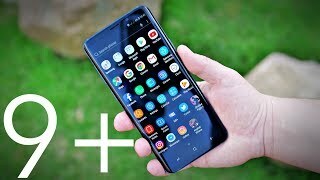 To learn more about these exciting new features and the Samsung Galaxy S9 Plus Dubai price, continue reading. Last year Samsung completely redesigned the Galaxy S series and they are sticking with the same design this year. There are some very minor changes and it can be difficult to recognize the Galaxy S9 Plus apart from it’s predecessor if you place these two phones side by side. However, there are some changes and one welcome change is the placement of the fingerprint sensor. This is also one of the ways you will be able to recognize this latest flagship from Samsung. It’s slightly smaller in dimension as well but that’s not really visible. The 6.2-inch screen will be showing 2960 x 1440 pixels resolution in 18.5:9 aspect ratio and 529ppi of pixel density just like the Samsung Galaxy S8 Plus. It’s the same design you get with Gorilla Glass 5 covering both the front and back side. It’s still IP68 certified and people can look for a new color right after the Samsung Galaxy S9 Plus release date UAE which is the Lilac Purple. You can also get this phone in Midnight Black, Titanium Gray and Coral Blue. This is where things are looking really great for this upcoming flagship phone, it’s rear camera. Unlike the Galaxy S9, this one will be packing secondary 12-megapixel telephoto camera along with the main 12-megapixel one. The primary camera is the first one to be in a smartphone offering f/1.5 aperture and it can be changed to f/2.4 aperture as well. It’s amazing to see how far these smartphone cameras has come as users can now change aperture. This will ensure amazing performance even in low light and users will be able to change apertures manually in Pro mode. It’s also easy to change between different camera modes as it’s now quite similar to the interface we see in iOS like the iPhone X or iPhone 8 Plus. The front camera is an 8-megapixel one which means there is no change megapixel wise. The rear camera is now capable of capturing super slow-mo videos which is 720p videos at 960fps just like the Sony Xperia XZ Premium. However, it cannot be done longer than 0.2 seconds. We will be able to find out more about these cameras after the Samsung Galaxy S9 Plus release date UAE. The Samsung Galaxy S9 Plus will cost around AED 3100 when it’s here. 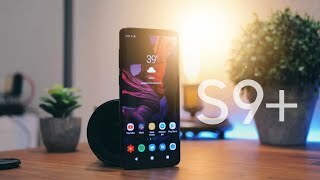 We have learned that the official release date in some places is 16 March so the Samsung Galaxy S9 Plus release date UAE is expected sometimes after 16 March. Samsung was rumored to tease the upcoming Samsung Galaxy S9 Plus at CES 2018 but that ended up just being a rumor. However, there are multiple reports suggesting that the phone is in production. 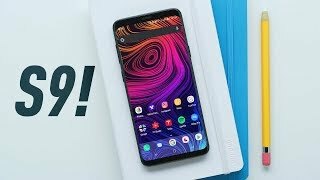 While nothing has been officially revealed yet, we have learned quite a lot about this upcoming phone. 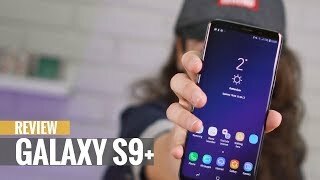 Before we get to those new features and specs, let’s take a look at the Samsung Galaxy S9 Plus Dubai price. It will be available for about AED 3100 if not more. This is where Samsung intends to bring a lot of change, the camera department. There are rumors that the upcoming Samsung Galaxy S9 Plus will be capable of capturing videos at 1,000 fps which means super slow motion videos. We don’t know much about the megapixels but it will have F/1.4 aperture. Another notable change is in the front facing camera which will be a dual-lens camera. There is also a possibility that the camera will include 3D face scanner like the latest iPhone X. 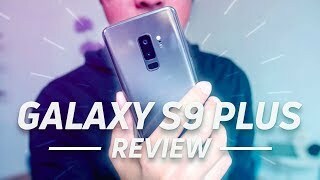 We will have to wait for the Samsung Galaxy S9 Plus release date UAE to find out how this one works compared to the latest iPhone. For now, there is the Google Phone 2 XL and Samsung Galaxy Note 8 if it’s the best camera focused phone you are after. These phones are in the same price range as the Samsung Galaxy S9 Plus Dubai price. Samsung did drop some hint about revealing the phone at MWC 2018 on February 26 but we don’t know the exact Samsung Galaxy S9 Plus release date UAE yet. 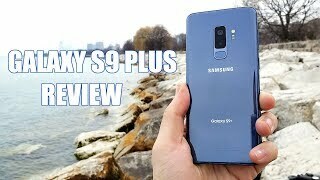 It will definitely show up sometimes in March or April, 2018 so all you have to do is start saving as you already know the Samsung Galaxy S9 Plus Dubai price. Price has increased 4% from AED 2699 on 2019-01-28 to AED 2799 today.